The Safety-Light-Barrier-Amplifier ISL-8000, in conjunction with optical safety-transmitters IST-... and safety-receivers ISR-..., yields a contactless protective device (BWS) according to EN61496 Part 1 and Part 2. Every couple of sensors consisting of an optical safety-transmitter IST-... and an optical safety-receiver ISR-... forms a powerful light barrier whereby up to eight independent light barrier routes may be realized without mutual interference. The amplifier evaluates each single light-barrier route and reports the status, interrupted or clear, via one of the eight outputs OSSD1 to the superior control system. 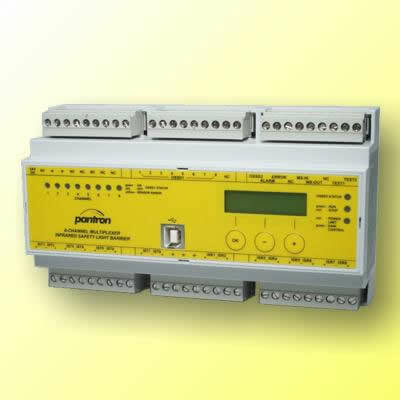 The integrity of the connection to the control system may be evaluated by using internal or external testing. To reduce service effort and to equalize changing environmental conditions (e.g. 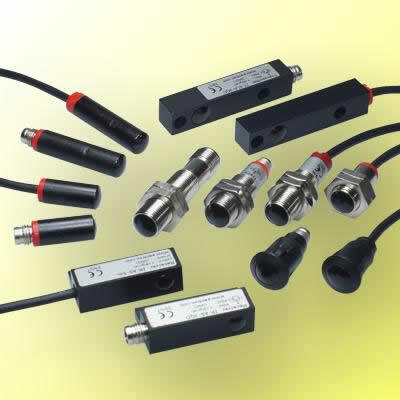 sensor contamination), the transmit-power of every individual channel is constantly adjusted by the automatic power regulation.